Developers and Councils are planning 17,000 new homes as well as industry and commercial development on the western foreshores and hinterland of Lake Illawarra. Lake Illawarra Authority chairman Doug Prosser says that the threat to our Lake has never been greater. This would have to be the understatement of the decade. Increased stormwater runoff, rubbish and sewerage overflow cannot possibly be healthy for the lake. But it’s not just the lake. What impact will this have on traffic, employment, air pollution, noise, social equity, access to services and quality of life? I’d like to think that developers and council have our best interests at heart, but I’m afraid bitter experience proves otherwise. These western Illawarra developments are a miniature representation of the “Big Australia” debate. How much of our natural beauty, limited resources and quality of life are we as a community willing to sacrifice? Simple maths tells us that exponential growth cannot continue on a planet or in a community with finite resources. Even astonishing technological advance will only delay the inevitable. Somewhere, sometime a line needs to be drawn. The only question is when we draw that line and what sort of living conditions we want from that time forward. We can make that decision proactively, or we can have it foisted upon us by famine, thirst and civil unrest. Recently we were only six months short of running out of water. So Rod Oxley was right. Wollongong needs a vision (but not his). We need a vision of a low impact, sustainable future that delivers a reasonable quality of life to all the members of our community. We also need a way for communities to have a voice. This is not just to “have a say” but to actually shape the decisions which affect our lives. Communities have spoken about all these developments. However, as usual, all levels of Government have placed the economic benefit of a few above the wants and needs of the community. It’s not just the Lake, but our children’s future that is under an insidious threat. Maureen, Ken and Tony from CRED will be speaking. 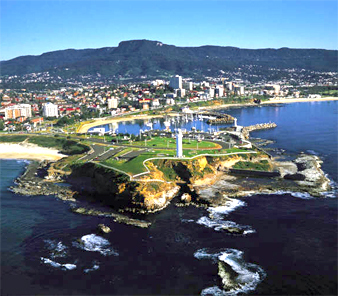 Wollongong City Council is encouraging the community to have their say on a revised set of planning rules for the city and the draft LEP 2009 is now open for public exhibition. “The draft plan incorporates new strategies for residential, retail and industrial development, as well conservation of the Illawarra Escarpment,” council director of planning and environment Andrew Carfield said. However, Mr Robinson said the majority of residents were unaware of the potential impact of the plan, or were experiencing difficulties in understanding the LEP document. “There is a lot of concern out there, particularly with the possible high-rise and single-storey develop-ments around the railway stations,” Mr Robinson said. Community groups have also identified other sites that could potentially be affected by the new plan, including Cabians at Bulli, the Bulli Bricks site, the Thirroul Excelsior and the zoning of the Bulli township. Mr Robinson encouraged all community members to attend Wollongong Against Corruption’s community conference at the Fairy Meadow Fraternity Club on Saturday, February 28. The conference will run from 10am to 4pm and will feature several guest speakers. He said this would be an invaluable way for those throughout the Illawarra to discuss how the LEP would affect those in different parts of the area. “The time period and kiosks that they’re (council) hosting now are not adequate,” he said. A council spokesperson said any resident with concerns regarding how the plan may affect them or their area should contact the council directly or attend one of its community information sessions. These will be held at Wisemans Park Bowling Club, Gwynneville, on Monday (February 16) from 4pm to 7.30pm and at Wollongong RSL Bowling Club Function Room on Tuesday (February 17) from 4pm to 7.30pm. A plan to put 1200 dwellings in Tallawarra has disappointed a community group that says Wollongong City Council has not considered the environmental impact. The council has released its plan for the 576ha Tallawarra site which includes 1200 dwellings intended to service the Tallawarra combined cycle gas turbine power station and businesses which will move into the area. The council completed a number of studies on the site but has so far failed to alleviate the fears of community groups who feel Tallawarra should not be occupied by houses. The Concerned Residents of East Dapto (CRED) hold fears about plans for the Tallawarra site, chiefly that they haven’t given full consideration to environmental issues. CRED co-ordinator Maureen Magee believes there has not been be a sufficient assessment. “There should be a proper environmental study of the land with a view to protecting the natural environment and creating jobs,” she said. Ms Magee said her group was not anti-development.